This is the first Ceramic Glaze polish that I've tried. It's a bright neon pink with a hint of purple iridescence. It's a 3-free polish and it dries rather quickly, albeit matte. I find that 99% of neons dry matte, so it wasn't surprising. 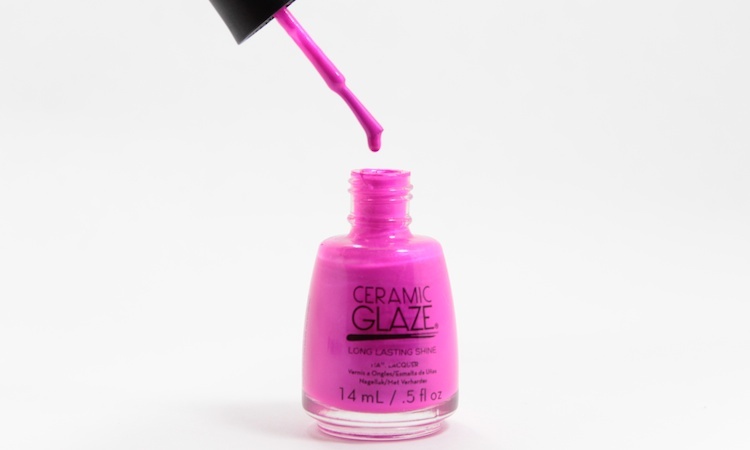 For a glossy finish, you'll have to add a top coat. It looks great both ways; although, I love the frosted look of a matte finish. Application was easy. The formulation was smooth, and it only took two coats for opacity. The brush is average in size and easy to use. 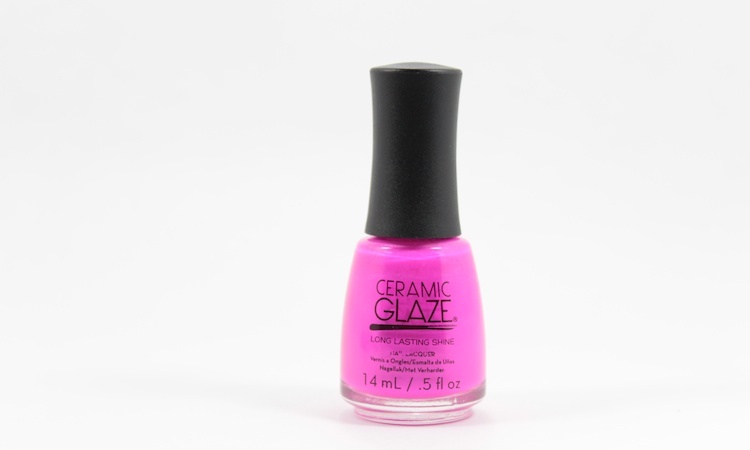 I need to try my first Ceramic Glaze polish too, I keep reading reviews about it! Your skin color suits every nail polish! Is there anything that doesn't look good on your nails? Sheesh. I want to take your nail beds, too btw. I haven't heard of this brand before! 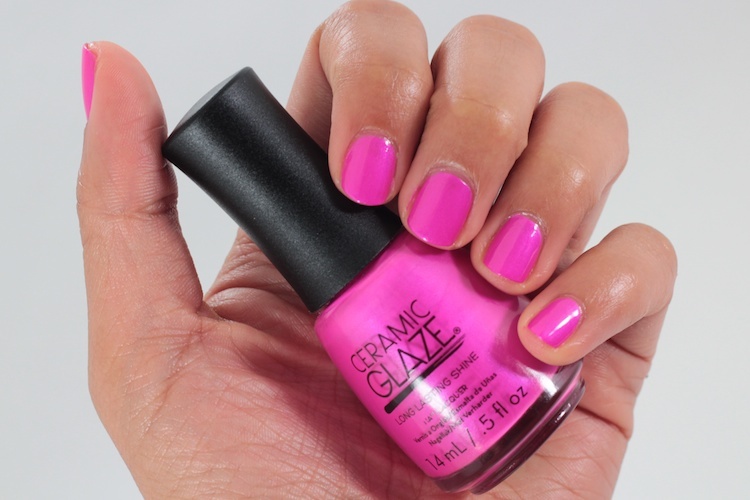 I'll have to swing by a Shopper's to check it out :) This shade is beautiful on you! Drool! I saw this colour and stopped myself because I think I have something similar, but it's gorgeous! Thank! I like the formulation, I'm definitely going to check out the other shades too!